Playgrounds have come a long way in the last 30 years. The concept and design potential has changed dramatically as well as the incorporation of inclusive play. Children now have the opportunity to be challenged more than ever before on playgrounds. With an increased range of climbing equipment as well as newer equipment such as flying foxes and spinners becoming the norm in most playgrounds. Children now have more of an opportunity to challenge themselves and take more risks when playing. It is important for parents to allow their children to be challenged on the playground. Anxiety is on the rise amongst Australian children. Many specialists believe that helicopter parenting significantly contributes to anxiety within children. When a parent tries to prevent a child from making a mistake or taking a risk it can decrease their sense of security. Children need to be able to have the chance to go that extra bit higher on the climber or on the swing so that they know they can do it. Parents may reduce their child’s likelihood of developing anxiety if they encourage more rough and tumble play and provide them with less assistance on the playground. At Omnitech we design play equipment that will entertain children but also challenge them enough to make them feel independent on the playground. Omnitechs range of standard units allows children to be challenged during play. 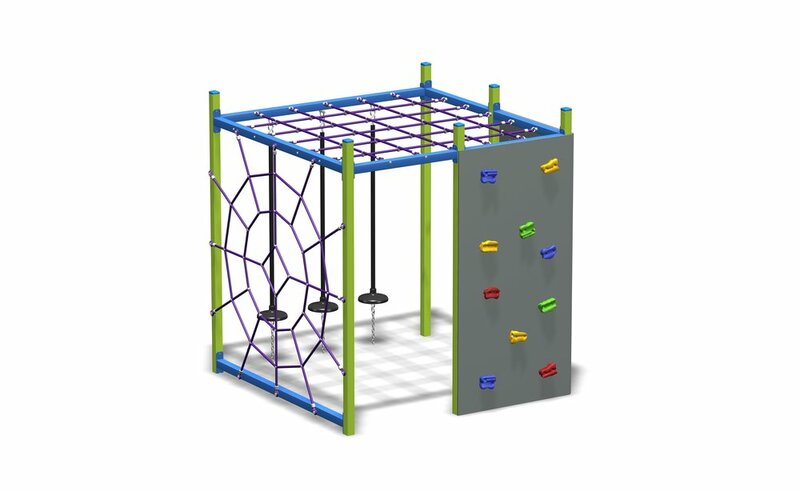 We offer a large selection of standard units that are suited for junior and senior play. Each unit can be altered according to the space or according to the desire of the client. Omnitech offers an array of themed units as well all access units. Omnitechs range of activity boxes and omniropes are also a great addition to a play space as they encourage kids to climb and get out of their comfort zone. Children can perform flips and tricks on the ropes and activity boxes, providing hours of entertainment. Our most popular activity boxes and omni ropes are shown below.